WASHINGTON — The Supreme Court agreed on Tuesday to hear a challenge to a New York City gun ordinance that does not allow people licensed to have guns in their homes to transport the weapons outside the city. The court has not heard a Second Amendment case since 2010. The new case will illuminate the court’s approach to gun rights after the arrival of Justice Brett M. Kavanaugh in October installed a reliable five-member conservative majority. The city’s ordinance allows residents with so-called premises licenses to take their guns to one of seven shooting ranges within the city limits. But the ordinance forbids them to transport their guns anywhere else, including second homes and shooting ranges outside the city, even when they are unloaded and locked in a container separate from ammunition. Three city residents and the New York State Rifle & Pistol Association sued to challenge the law but lost in a Federal District Court in Manhattan and in the United States Court of Appeals for the Second Circuit. 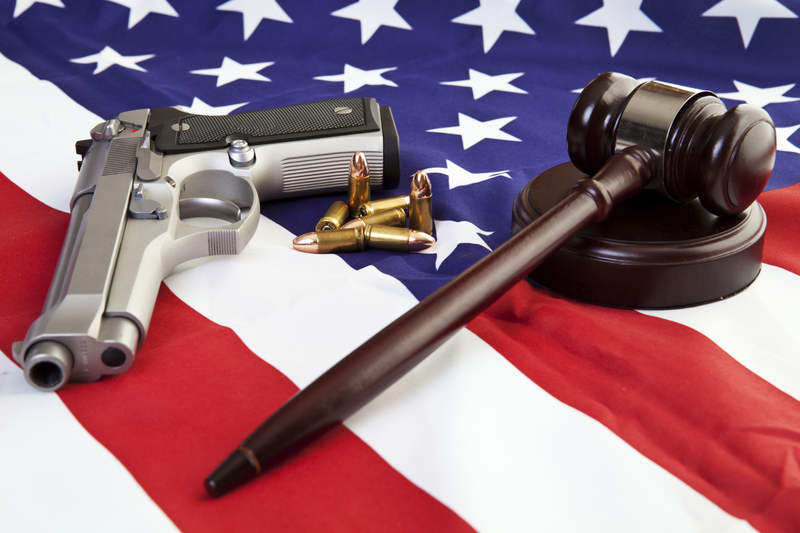 A unanimous three-judge panel of the Second Circuit ruled that the ordinance passed constitutional muster under District of Columbia v. Heller, the 2008 Supreme Court decision that established an individual right to keep guns in the home for self-defense. In urging the Supreme Court to hear their appeal in the case, New York State Rifle & Pistol Association v. City of New York, No. 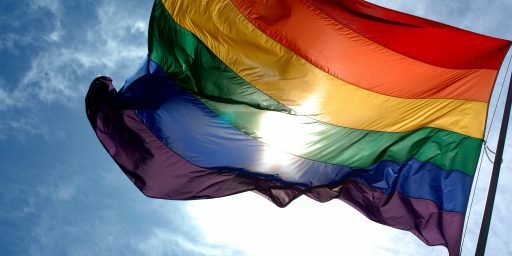 18-280, the challengers said the restrictions imposed by the New York City ordinance were unique in the nation and made no sense. “Only New York City flatly prohibits its residents from removing their lawfully purchased and duly registered handguns from the city limits, even to transport them (unloaded, and locked up) to second homes at which they are constitutionally entitled to possess them, or to out-of-city shooting ranges or competitions at which they are constitutionally entitled to hone their safe and effective use,” the challengers’ brief said. Lawyers for the city responded that the law was justified by public safety considerations. Before 2001, their brief said, the city offered a license that allowed owners to take their guns to shooting ranges outside the city. The Police Department, the brief said, “observed widespread abuses.” Firing ranges within the city must keep detailed records, the brief said, but people with the old licenses who were found with guns outside their homes could claim to be headed to a range outside the city that did not keep such records. In 2008, the Supreme Court ruled that the Second Amendment protects an individual’s right to have a handgun at home for self-defense. Two years later, the justices made clear that this right also applies against state and local governments. Since then the Supreme Court has repeatedly declined to say anything more about how far states and cities can go in restricting gun rights, but today it granted a plea to weigh in, this time in a case from New York City. Today the justices granted review in the case, New York State Rifle & Pistol Association v. New York. The Supreme Court’s calendar for April was already full before last week’s conference, so the new grant likely won’t be argued until the fall. The justices’ eventual ruling in the case could stick to the relatively narrow question of whether the city’s law is constitutional, or it might shed light on a broader and more consequential question: whether the right to have a gun extends outside the home. Either way, the court’s opinion in the case probably won’t come until the spring of 2020. The most notable thing about this case, of course, is the fact that the Court accepted it at all. After the Court’s decision in D.C. v. Heller in 2008, in which the court found both that the Second Amendment protected an individual right to keep and bear arms and that a District of Columbia law that effectively banned people from keeping a gun in their home, a ruling which was extended to the states in 2010’s McDonald v. Chicago, the Justices have been reluctant to take up Second Amendment cases. In fact, the Court has up until now passed up reviewing a number of seemingly important cases dealing with various Second Amendment issues. Among these are a 2013 decision to decline to accept a case involving New York State’s laws regarding carrying guns in public , a decision in 2014 to decline a similarly restrictive New Jersey law regarding carrying concealed weapons, a 2015 case involving San Francisco’s law regulating handguns, and a 2016 decision regarding laws adopted by New York and Connecticut in the wake of the shooting at Sandy Hook Elementary School. 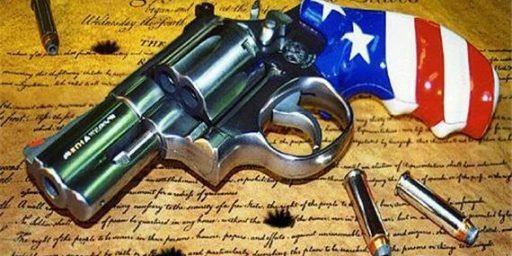 At the end of the last term, At the end of its last term, the Court declined to hear an appeal of the Ninth Circuit Court of Appeals ruling upholding California’s law regarding the concealed carry of weapons. Most recently, in November the Court declined to hear a case challenging Maryland’s ban on so-called “assault weapons. In February, the Court declined to review of a Ninth Circuit opinion upholding a California law that imposes a ten-day waiting period on gun purchases. Finally and most recently, in May the Court declined to review another case from California regarding local laws that bar new gun stores in unincorporated areas within 500 feet of a residential neighborhood, school or day care center. One of the most notable things about many of the cases listed above is the fact that, in many of them a handful of Justices took it upon themselves to take the somewhat unusual step of dissenting from the decision not to review the case Ordinarily, of course, the court does not explain why it accepted or denied a case, and there is no comment from the Justices who disagreed with that decision. The only thing that can be gathered in such cases is that there were not four Justices who could agree to take the case. Typically those dissents came from Justices Scalia and Thomas, with Justice Alito joining in on occasion. When Justice Scalia died, the dissents continued to come from Justices Thomas and, sometimes, Alito. Now, we finally have a case where four Justices agreed to accept a case, and I’d guess that those four most likely include Justices Thomas, Alito, Gorsuch, and Kavanaugh, suggesting that the Chief Justice is likely to be the tipping point in this case. In any case, as to the merits of this case, it appears to me that New York City has a tough burden to overcome here. The Plaintiffs aren’t asking for the right to carry their weapons in the city, they are merely asking to be allowed to take their weapons outside the city, ostensibly to shooting ranges elsewhere in the state. As described in the case summaries that I’ve read, the city’s argument in favor of the law seems to be rather weak. As noted above, one of the arguments in particular, regarding the safety issues involved in allowing gun owners to transport their weapons outside the city is particularly weak because it ignores the fact that there is arguably more danger involved in compelling them to leave the weapon behind in an unoccupied home or apartment. However, it’s far too early to be predicting how the case will be decided. As Howe notes above, this case is going to be pending on the Court’s calendar for a while. The Court has already filled all of the argument slots available through the end of the year. This means that the case will not be scheduled for oral argument until sometime early in the October 2019 Term and that a decision is unlikely before the Spring of 2020. In the meantime, you can keep track of developments and related filings at the SCOTUSBlog Information Page for the case. The obvious is that quantum guns don’t exist (yet), so you can’t carry them outside the city without carrying them within the city in the process. We’ll have to wait and see how this plays out, but so far it looks like another data point toward the question of whether Justices are partisan. Haven’t taken a case in 9 years until we got two brand new, shiny Stepford Federalist Society Justices. I have to agree with you both, guys. I have a hard time seeing how NY can argue for transporting guns to approved ranges but not anywhere else. Both have the same transport requirements. gVOR8, it would indeed take a massively partisan justice to somehow use that quantum argument Kathy references! With Justice Boof on the court it’s likely this will win…opening the door to the vision of the US as Wild Wild West that Russia and it’s agent, the NRA, has for the US. A quantum gun would need quantum ammunition, and it would have to be entangled if it is to be transported with the unloaded gun. But police would hate it. After all, a superposition bullet recovered from a crime scene would also still be unfired in the gun. try and prove they’re both the same bullet, without destroying one by making a measurement. With apologies to George Gamow and Mr. Tompkins. the “wild wild west” had a much lower murder rate than present day Baltimore. Or Newark. Or St Louis. And food for thought, the murder rate in Russia is HIGHER than in America even though civilian handgun ownership is almost completely banned and long guns are far more strictly controlled than anywhere in America. Vermont has had almost NO gun control for decades, and yet has among the lowest murder rate in America. Jamaica has essentially banned handguns, and is an island, and yet has a murder that approaches 10 times the US murder rate. Violence is a product of culture, not gun laws. @Aaron: I was unaware that we were keeping detailed homicide statistics in the incorporated territories in the 1870s. Could you point me to your sources? @Aaron: and there are also a lot more school shootings now. At what cost is your blind devotion to the NRA and the Great Orange Dictator?? People tend to confuse the number of crimes with the crime rate. A state with a low murder rate today, probably has more murders per year than the “wild” West had. There are more people living today. For instance, 50 murders in a population of 100,000 people is a murder rate of 50 per 100,000 (duh). 100 murders in a population of 1,000,000 is a murder rate of 10 per 100,000. So the rate is lower even if the number of murders is higher. @Daryl and his brother Darryl: What you just said is an example of why gun control advocates have such a rough row to hoe. I’m the kind of guy who feels immensely safer knowing that somewhere in our great nation a brave handgun is at this very moment sacrificing its life so the world can have another storm drain grate, and even I can’t make sense of this law or your slippery slope comment about it. Get some perspective and dial it down a notch (or ten).